Are you confused about which fat to buy? Would you like to learn which is the healthiest cooking oil? 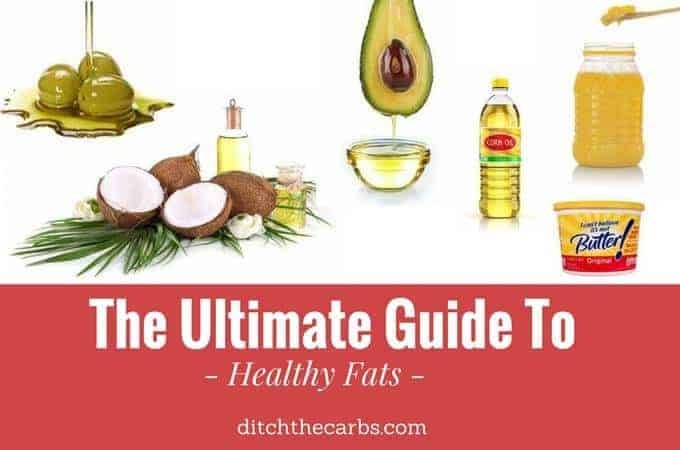 The Ultimate Guide To Healthy Fats will guide you through the confusion, ignore the nonsense and marketing mumbo jumbo. You will learn what to use, what to avoid and why. Just what is the healthiest cooking oil? There is a whole world of cooking oils out there and choosing the healthy option can be very confusing. Pick up a newspaper, and you’ll hear a dietitian talking about how you should choose ‘heart healthy’ vegetable oils. On the other hand, read a few online blogs, and suddenly butter seems to be optimal. 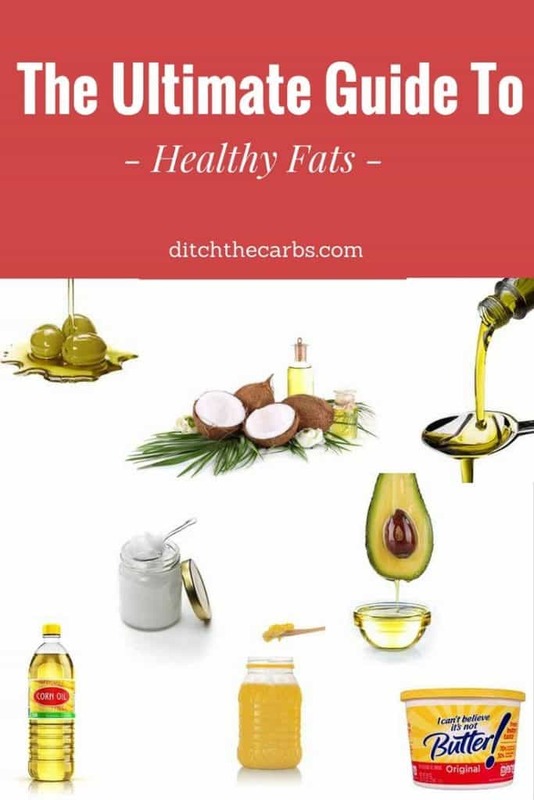 The Ultimate Guide To Healthy Fats will reduce the confusion and go through the different types of oil in more detail. Are Vegetable Oils Good For You? 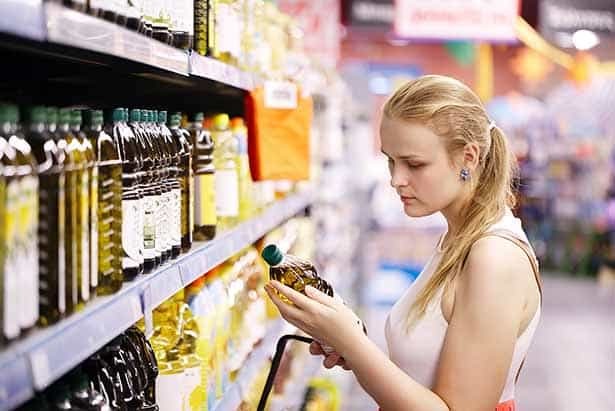 Public health organizations usually urge us to eat these polyunsaturated oils, but is vegetable oil healthy? One of the most important points in answering this question relates to the saturated fat content. Of course, this presumes that saturated fat is inherently bad for us – which it isn’t. In fact, large-scale studies over recent years show that saturated fatty acids have no relation to heart disease risk (1, 2, 3, 4). So, when you hear people saying about how Canola oil is the healthy choice, remember that these comments are largely driven by a fear of saturated fat. The irony here is that saturated fats are the best option for cooking due to their heat stability (5, 6). On the other hand, the majority of vegetable oils are high in polyunsaturated fat — mainly omega-6. They have a significant amount of omega-6 fat (pro-inflammatory) but very little omega-3 (anti-inflammatory). In other words, regular consumption of vegetable oil imbalances our omega 3-6 ratio and promotes inflammation (8, 9). With this in mind, if you want the best oil to cook with, then it’s better to stay away from all ultra-processed vegetable oils. Well, if you squeeze an olive or an avocado what happens? Oil comes out. A significant amount of the coconut, olive and avocado oil that you can buy is naturally cold-pressed. Try squeezing a rapeseed (used to make canola) or a piece of corn and see what happens. I’m betting that you won’t see much oil! No, to get oil out of a seed or grain requires a lot more work. To be specific, it involves the use of high-heat presses and the chemical hexane for extraction (10). Also, the resulting oil looks and smells terrible, so the manufacturers use bleach and deodorizers to make it presentable (11, 12). Some people call LCHF ‘low carb, healthy fat,’ and the ‘healthy’ part is essential. While some fats are extremely good for you, others are far from healthy. To make it easier for you, here’s a list of some of the most unhealthy vegetable oils. Canola oil is one of the most common oils to find in kitchens around the world. However, as shown in the video above, it is not something we want to be putting in our bodies. Corn oil has a few uses – one is for biodiesel, and another is for cooking food. But studies suggest we are better avoiding it and show that it can promote cancer. 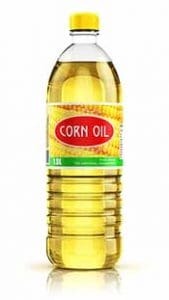 Corn oil also contains a small level of trans fat, which increases when heated (13, 14). Cottonseed oil is easy to see in various junk food in stores; it’s often used to make trans fat and is one of the very worst oils for health. It’s extremely high in omega-6 and frequently contains pesticides and chemical contaminants used in the cottonseed industry (15, 16). Again, grapeseed oil is very high in omega-6, and the extraction process typically uses hexane. People promoting the oil often claim that it has a ‘high smoke point,’ but this is far less important than the fatty acid composition. 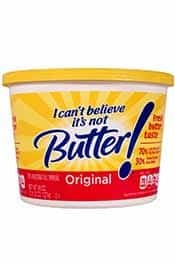 Unbelievably, margarine once held the status of a ‘healthy butter substitute.’ For anyone with interest in business, this is an excellent example of what marketing can achieve. Thankfully, people are now swapping margarine out and going back to butter. The nutritional profile of peanut oil is better than most vegetable oils, as it is mainly monounsaturated fat rather than polyunsaturated omega-6 (19). However, in most cases, peanut oil is the result of a harsh chemical extraction process and is better to avoid. Extremely high in omega-6 oil, this industrial product is another to avoid. In a study that replaced saturated fat with safflower oil in CVD patients, the result was higher mortality (20). Soybean oil is also highly refined and a significant source of omega-6. 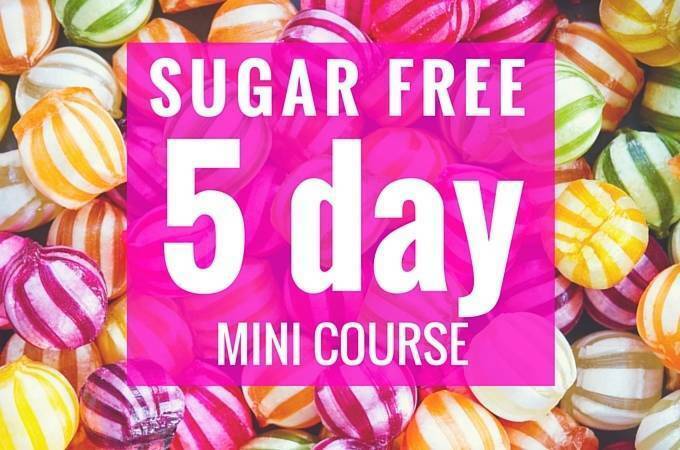 Recent studies even show it as “more obesogenic and diabetogenic than sugar” (21). Similar to peanut oil, sunflower oil has more monounsaturated fatty acids and is better than most oils on this list. However, it still contains a reasonable amount of omega-6 and is usually industrially processed. On the other hand, if you can find cold-pressed high OLEIC sunflower oil, then that one isn’t too bad. It’s very low in polyunsaturated fats and has the same fatty acids as found in olive oil, meat and lard (22). All in all, these oils are highly processed and damage the body. Many people promote the ‘smoke point’ of oil as the most essential factor. However, this is far from the most important thing to consider. It’s common sense not to let the food smoke, and if we emphasize lower heat cooking, then this will never be a problem. In reality, the most important thing to consider is the type of fatty acids in the cooking oil. 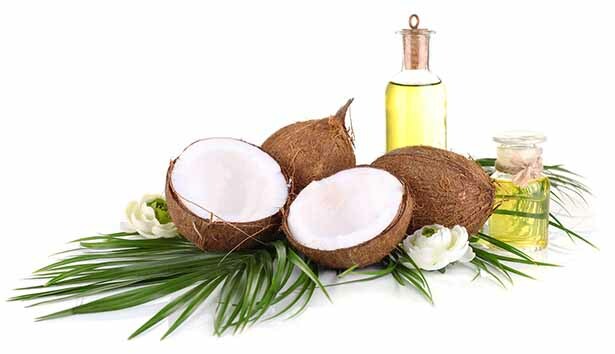 Saturated fat is found in animal products, as well as tropical fats (coconut and palm oil). All fats are made of carbons and surrounded by hydrogen atoms. Saturated fats have no double bonds, and the carbons are fully surrounded (saturated) by hydrogen. This saturation gives the fat higher stability against oxidative damage. Saturated fats are therefore the most heat stable and the best choice for high heat cooking. Monounsaturated fats are a little different in that they have a single double bond. This bond makes them slightly less resistant to oxidation compared to saturated fats. However, these fats tend to be extremely high in antioxidants and polyphenols which help protect the fat against oxidative damage. Overall, they are relatively stable during cooking. Polyunsaturated fats contain more than one double bond, which makes them the most prone to oxidation. It is best never to heat polyunsaturated fats. So, what’s the big problem if heat oxidizes our cooking oil? Well, oxidized fat causes inflammation in the body, which has links to almost every modern chronic disease (23). In particular, chronic inflammation increases the risk for Alzheimer’s, cancer, diabetes, and heart disease (24, 25, 26, 27). Oxidation can turn a good oil into an unhealthy one. So, What Are Some Good Vegetable Oil Substitutes? So, maybe now you’ve decided that your omega-6 vegetable oil isn’t the best option, but how can you replace it? The good news is that if you’re looking for a replacement for vegetable oil, there’s a huge range of choice. All of these fats are very natural, either coming from animals or plants without needing vast industrial production processes. Just a quick note regarding red palm oil: while it is a healthy source of fat, look for a certified sustainable source. Sadly, many palm oil products are unsustainable and result in widespread deforestation and the destruction of natural habitats (28). Precisely which fat you choose may depend on the situation and, if following a recipe, may involve making smart recipe substitutions. For example, the best fat for baking would be butter or ghee. So, if you see vegetable oil or margarine in a recipe, you can use butter as a healthy substitute for it. If you want the tastiest food possible, then bacon fat, lard, or goose fat is hard to beat. In other words, there may be a difference between the healthiest cooking oil and the best fit for each recipe. Thank you for touching the subject that processed vegetable oils are loaded with free radicals! We use a Aldi’s olive oil cooking spray for daily morning eggs. Is this the same as extra virgin oil from the bottle? Also how do we know what is a reputable brand of ev olive oil? 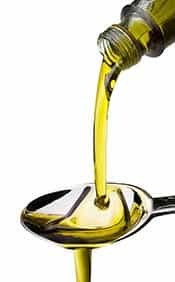 I understand there are fake olive oils coming onto the market, especially as consumers are swapping from seed oils (sunflower, rice bran, canola etc) to olive oil. I can’t tell you about specific brands, as they change regularly but if you Google “fake olive oil brands UK” you can see up to date lists there. Thanks for the info, it looks like that YouTube channel has updated it’s Privacy Settings. I’ve found another link and uploaded that for you. Hi Libby, Thanks so much for all of us out here in computer land. There was a lot of info and sorry if I missed it but where does ricebran in good/bad. I love baking and start this low carb journey for family and friend needs but as for me I hard my gall bladder out and are fat intolerant and have found rice bran works best for me. I’m stunned at this evidence, especially that cooking/heating olive oil is far healthier than useing rapeseed … i feel like I’ve been conned all these years. In fact i feel quite angry about it all. Thank you Libby for such s fabulous web site, with excellent content. I love your recipes and have enjoyed many of your videos this month too. Thank you Jane. Yes I too feel we have been conned. Sadly the current food pyramid and guidelines have actually caused the current health crisis and we have inadvertently been part of a huge experiment that began because of poor science and the egos of certain founding scientists and politicians. What about dairy? Should it be avoided? It is so hard to avoid cheese and I see heavy cream in some recipes. We all LOVE full fat dairy here. In fact, full fat dairy is discussed in this post, by the World Heart Federation president, Salim Yusuf. He presented the data from the PURE study on diet and cardiovascular disease. “There is ZERO evidence to encourage low-fat dairy products. The saturated fat that comes from full fat dairy may be protective”. What oil would you recommend for a deep fryer. I need one that does not harden at room temperature, but hardens in the fridge. I have completely switched over to butter, coconut oil, and olive oil for cooking and baking. I continue to deep fry with peanut oil, only about 2x a month though. We use coconut oil in our fryer and it works great! Very interesting information about the difference in oils! Thanks so much!